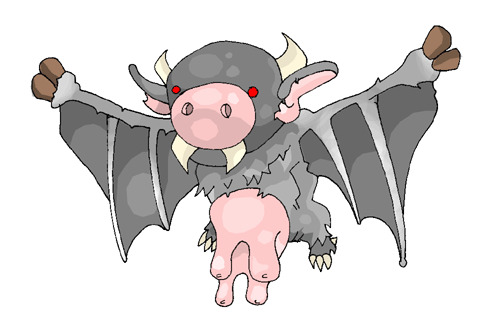 For those who don’t know, my wife’s brother and I created our vampire-cow character during a slow session of tabletop role-playing many years ago. Artist Gavin Spence and I eventually worked the Cownt into a parody of Steve Niles’ Cal McDonald and 30 Days of Night stories for the horror anthology Tales from the Inner Sanctum. 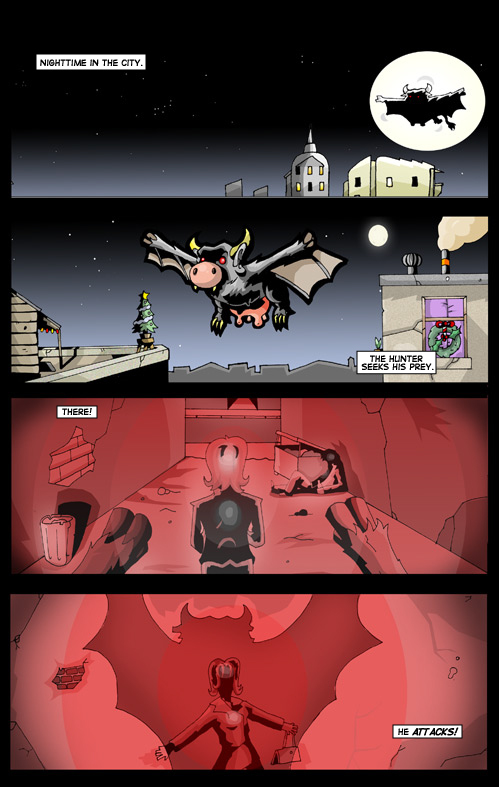 Then in 2009, Gav and I teamed up with Jessica Hickman and Paul Taylor to make Cownt Tales, a one-shot anthology of three stories all written by me and each drawn by a different artist. 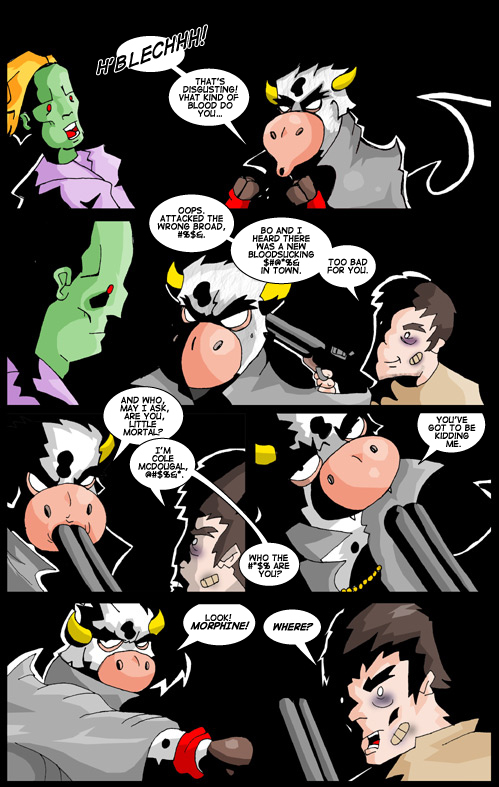 It’s full of udder gags, cow puns, and some fantastic, hilarious art. It makes me extremely happy to know that it exists in the world. I have a few copies left if you’d like one. Just shoot me an email and we’ll work out the details. 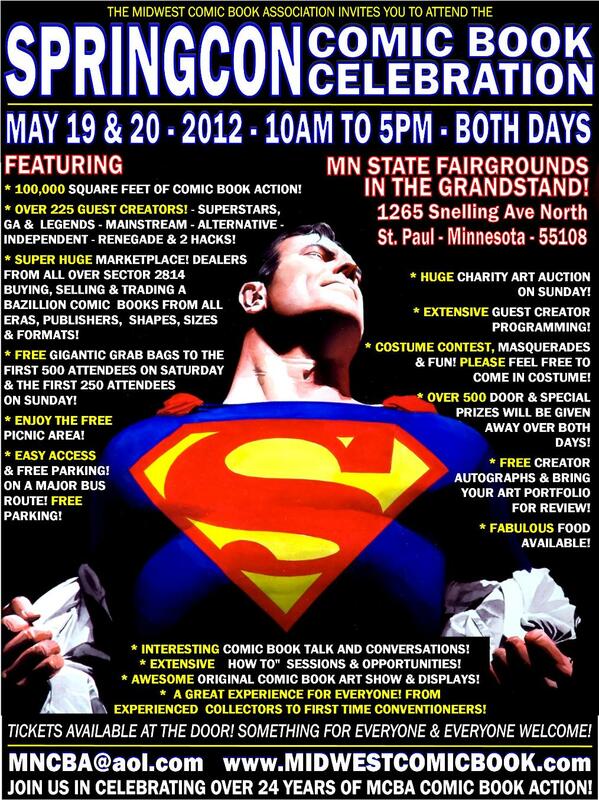 SpringCon 2012 is hitting the Twin Cities in a couple of weeks and I’ll be there as usual. Will definitely have some Kill All Monsters ashcans and Cownt stickers, but I’ll see if I can’t find something new to bring as well. I’ll probably have David with me for some of the time, so if you want to talk dinosaurs or Godzilla (or Pokemon), he’s your man. The full guest list is up at the Midwest Comic Book Association website and it includes some awesome names as usual. In addition to the many friends I love seeing at that show, the MCBA does an especially great job at bringing in and honoring classic comic book creators. This year they’ve got Allen Bellman (The Human Torch, Sub-Mariner Comics), Jose Delbo (Jimmy Olsen, Wonder Woman), Bob McLeod (Action Comics, Conan the Barbarian), and Don Rosa (The Life and Times of Scrooge McDuck). They’ve also got other creators making their appearance for the first time this year: artist Jamal Igle (Supergirl, Zatanna), animator Joel Seibel (A Pup Named Scooby Doo, The Angry Beavers), and writer Bill Willingham (Fables, Fairest). I have no idea how I’m going to meet Willingham without geeking out, but I’m definitely going to ask him to sign my copy of Fables, Volume 2 (the one that quotes a review I wrote on the back cover). 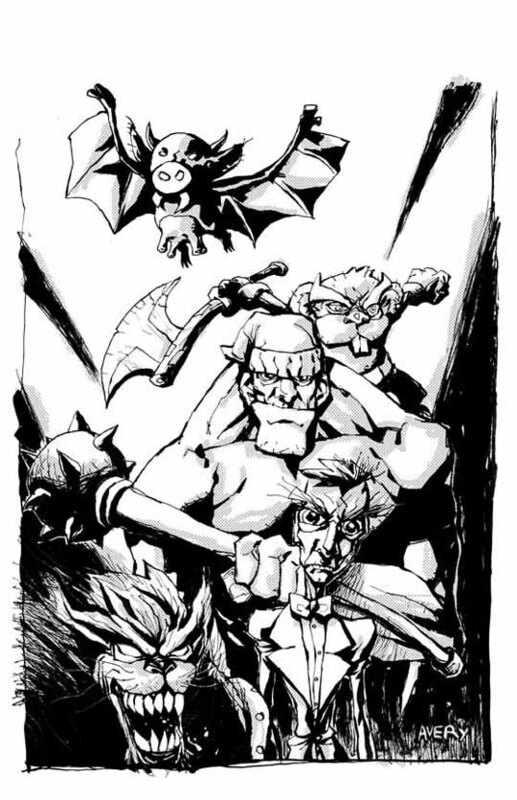 One of Gavin Spence‘s early drawings of the Cownt in his bat form. And further proof that Gav is a mad genius. 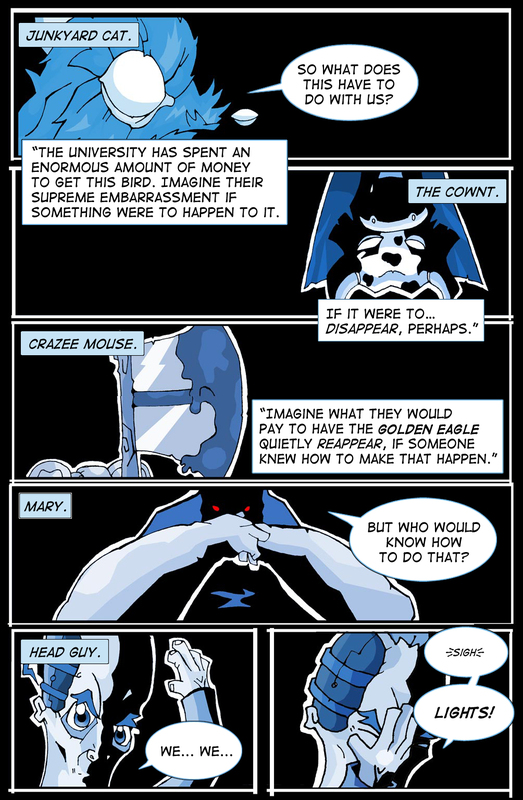 From front to back: Junkyard Kat, The Head Guy, Mary, Crazy Mouse, and the Cownt. Since I shared that Quartet of Crime story last week, I thought maybe you’d like to see this QoC drawing by Avery Butterworth, who’s done illustration work for White Wolf Games and The Surreal Adventures of Edgar Allan Poo. I’ve mentioned this in a couple of interviews, but the Cownt wasn’t created to be a standalone character. My brother-in-law and I were bored during a slow roleplaying game and came up with a bunch of weird people for an inept group of supervillains. The Cownt was only one member of the five-member Quartet of Crime, but he was easily the most popular. 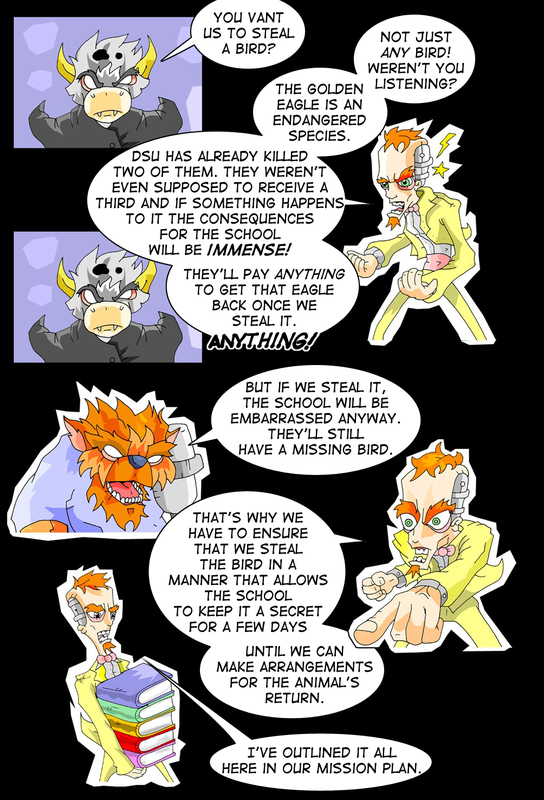 The Quartet’s scheme in the story, by the way, is very loosely based on actual events. 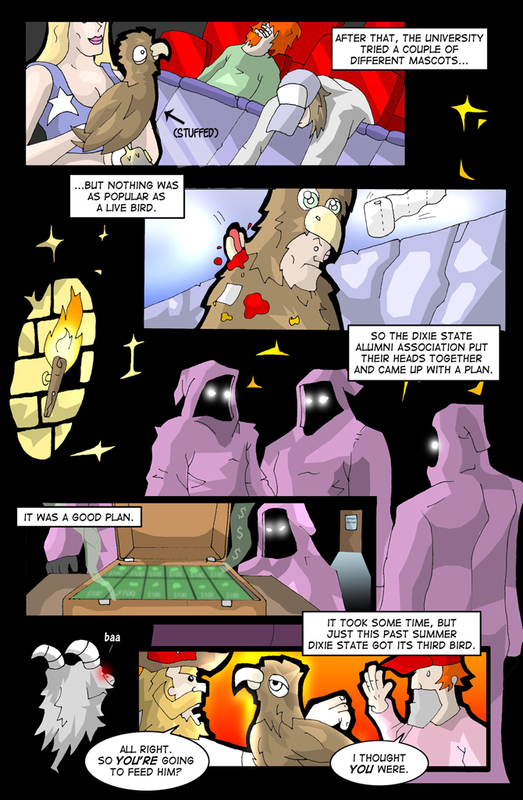 An announcement about Tumblr doesn’t feel like enough content today, so what follows is the complete first appearance of the Cownt from Tales from the Inner Sanctum, Volume 1. The book was a collection of horror stories inspired by the work of Steve Niles and was the first published work of both myself and artist Gavin Spence. 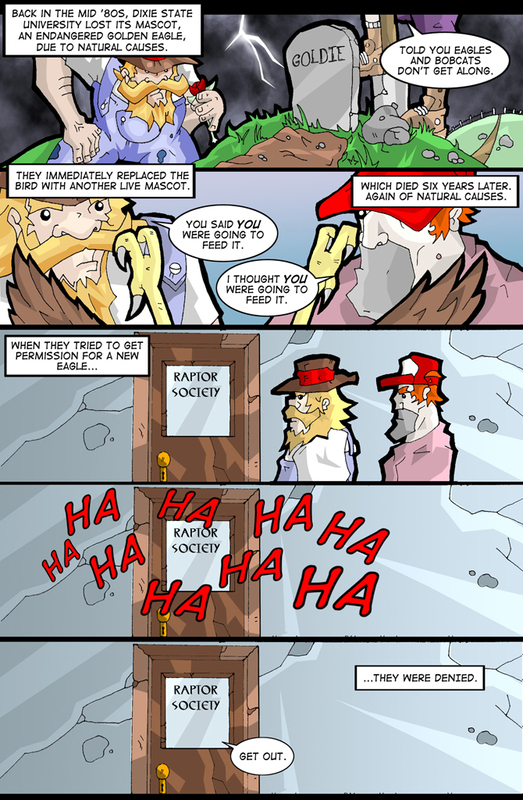 You can see that we were brand new to this whole Making Comics thing. I know I cringe at some of the text. I still like Gav’s early stuff, but – as you’ll see if you click that link above – he’s improved a lot too since we did this. Still, it was a lot of fun and I’m proud of us for making it. 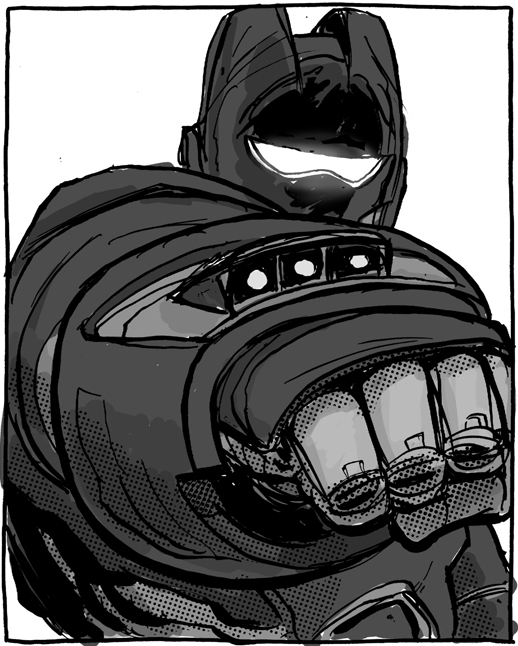 Also of Jason Hanley for the lettering. He’s awesome. 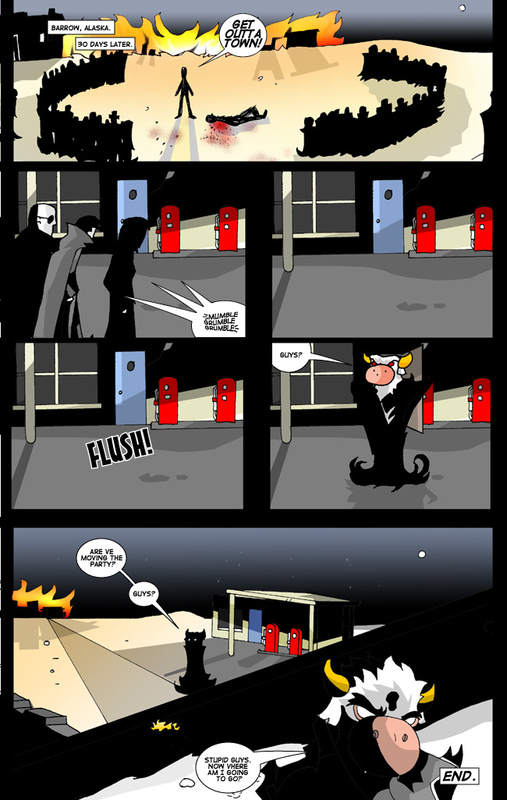 Incidentally, Tales from the Inner Sanctum, Volume 1 also featured a story by me and Jessica Hickman, who would go on to become one of the Cownt’s strongest supporters and an artist on the Cownt Tales one-shot. Who’s this handsome fella? 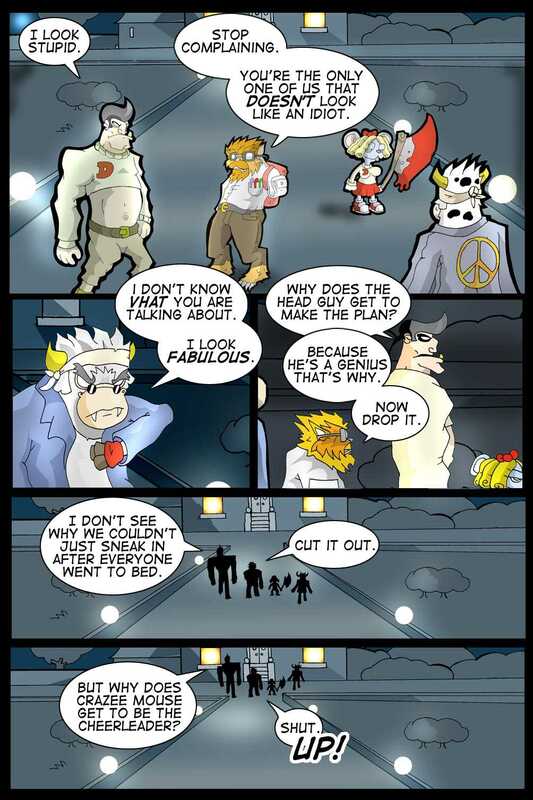 We’re not telling yet, but you can see him in action in this week’s installment of Kill All Monsters!. Over at Robot 6 this week I reviewed (Critiqued? No, I can’t make myself call it that.) Brecht Evens’ Night Animals, a book that’s as awesome to look at as it is disturbing to think about. I also did a good job of keeping up with my new blogs. Both Amazon Village and Dear Dairy featured the same kinds of art posts, comics linking, and news you’re used to seeing here, but I also started an Amazon of the Week feature (Which Companion of the Doctor kicked it off? Only one way to find out.) and shared some Cownt fan art by an artist from White Wolf Games. And of course, don’t forget the Kill All Monsters! 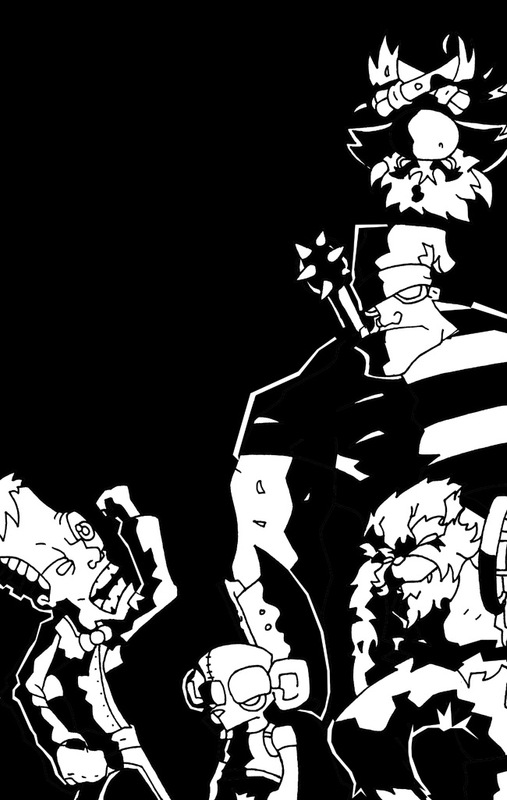 blog, focusing on giant robots and giant monsters.